Boston was happy to welcome the Cubs to town this May. As the the team hadn’t visited Beantown since the 1918 World Series, Red Sox fans wanted to witness this historic series 93 which was years in the making. 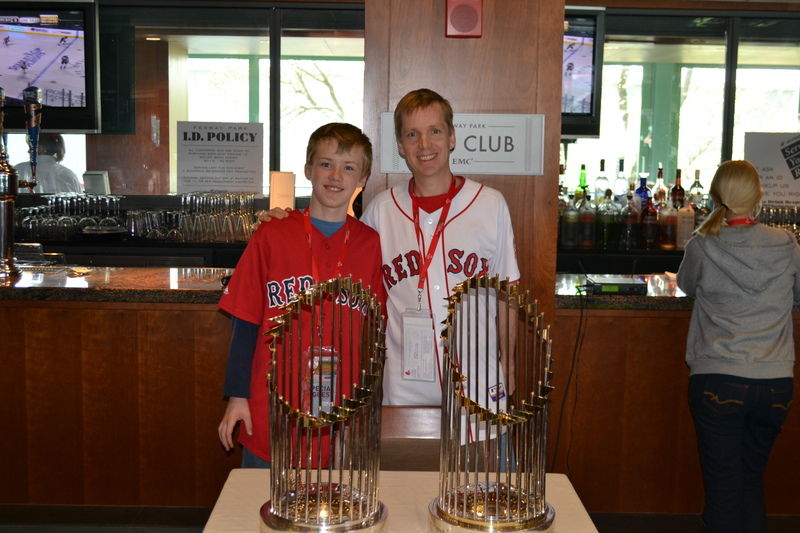 Red Sox Destinations provided a VIP road trip to a group of Sox fans; arranging tickets, first class hotel accommodations in downtown Boston, and incredible access to Fenway Park! The nostalgic atmosphere for the Cubs vs. Red Sox series enhanced the enjoyment of the historic matchup. 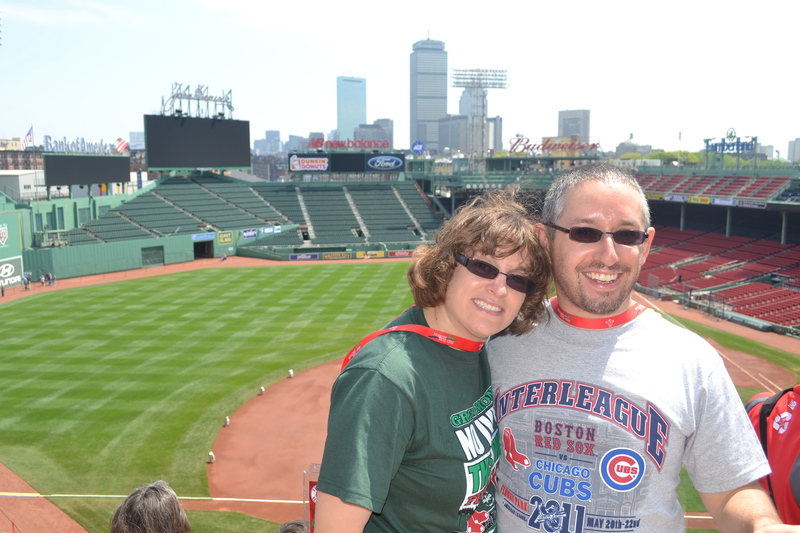 After Sox Destinations guests witnessed a win on Friday night, they arrived at the Park in high spirits on Saturday morning for their tour of Fenway! Stops on the tour included the pressbox, the top of the Green Monster and most importantly, the warning track and even inside the Green Monster! Fans got the opportunity to walk where their beloved Red Sox have played for the past 99 years. Check out a few of the photos! 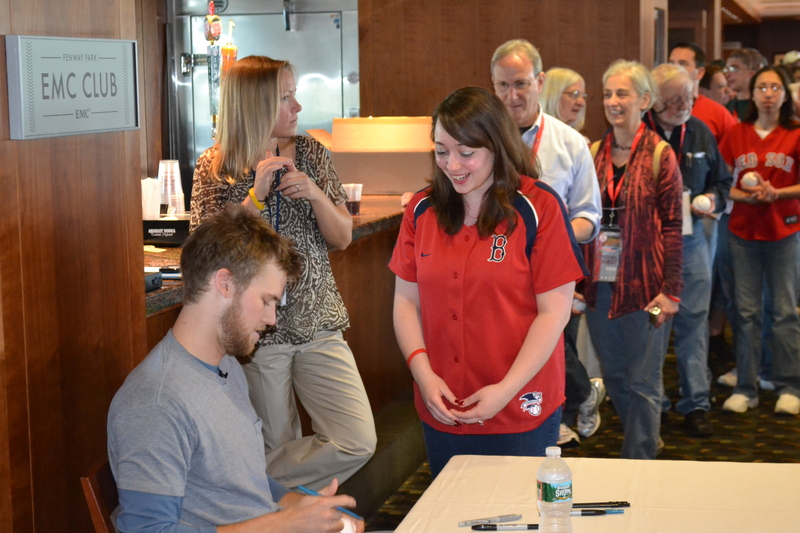 After the VIP tour, guests attended a special pre-game reception where Daniel Bard stopped by to sign autographs, pose for photos, and participate in a Q&A session!Check out some photos from the event! The 2004 & 2007 World Series rings also made appearances!